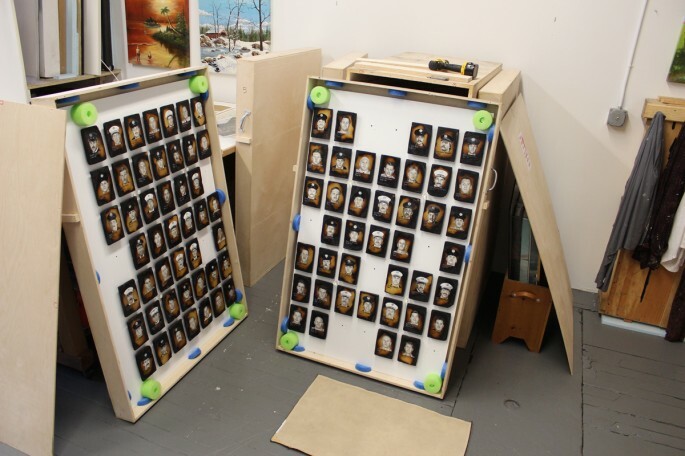 I have the paintings back with me for the first time since we installed them on their panels in Maryland last June. Between then and now they were either on display or in their crates in their trailer. I am taking this opportunity to do just a little more work on about 50 or so of the portraits. For some, I have seen better reference pictures along the way. On three I had mistakes corrected in New York. (I had the wrong companies on two of them, and one letter wrong in the name of a third.) Others were just not good enough yet as a painting. 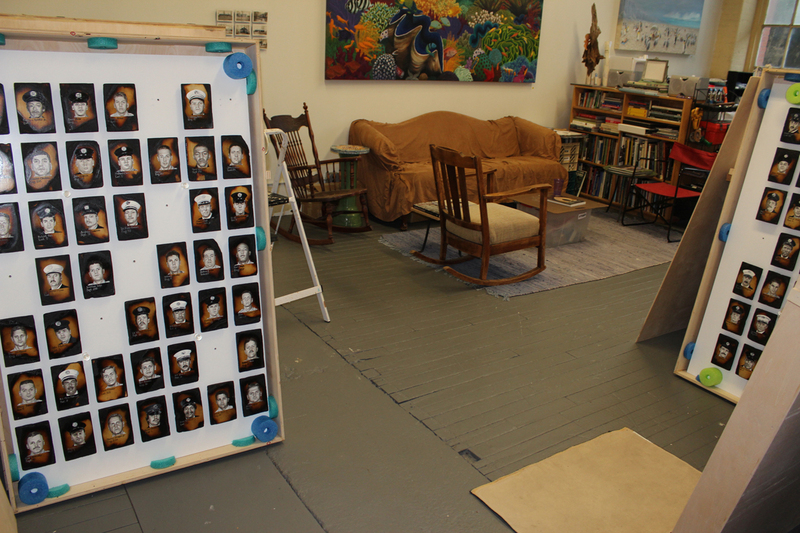 So here are the painting crates back in my studio in Easthampton MA. After I finish these 50 paintings, the next task is to build fixed pallets onto each of the two outer crates. 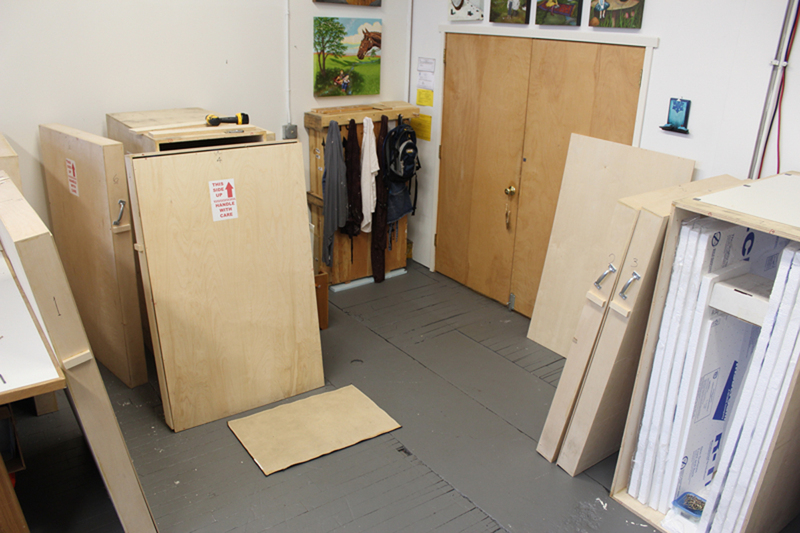 All this needs to be ready for their August journey to Colorado Springs. This entry was posted in Artist's Journey and tagged 9/11, better angels, Colorado Springs, Dawn Siebel, FDNY, firefighter, firefighters, firefighters of 9/11, paintings, studio, touch up. Bookmark the permalink.